Rediff.com » Movies » Quiz: Do you know these Bollywood actors? Quiz: Do you know these Bollywood actors? Haven't there been times when you know a character actor from the numerous films you've seen of his but you never even knew his name? We dig up some Hindi film actors, who have been a big part of our memories and test your knowledge on them. Do you know their names? Find out! The correct answer is c. Popularly called David, his full name was David Abraham Cheulkar. He was popular for his roles in Boot Polish, where the song Nanhe Munne Bachche was picturised on him. He also starred in Chupke Chupke, Gol Maal, Baton Baton Mein and Khubsoorat. Not many know that he never married, and died at the age of 73 in Toronto, Canada. Correct! Popularly called David, his full name was David Abraham Cheulkar. The correct answer is b. Mukri's full name was Muhammad Umar Mukri. A schoolmate of Dilip Kumar, they started their careers together in a Bombay Talkies production called Pratima in 1945. Before joining the film industry, Mukri worked as a Qazi (a judge ruling in accordance with Islamic religious law). Mukri is survived by five children. One of his daughters Naseem Mukri has written dialogues of films like Dhadkan and Haan Maine Bhi Pyaar Kiya. Correct! Mukri's full name was Muhammad Umar Mukri. The correct answer is b. Before joining films, Manmohan Krishna was a trade unionist. He worked in nearly 250 films, notably Naya Daur (1957), Sadhana (1958), Waqt (1965) and Hamraaz (1967) and Bees Saal Baad (1962). A close associate of Yash Chopra, Krishna later directed a film under his banner called Noorie. He died at the age of 68. Correct! 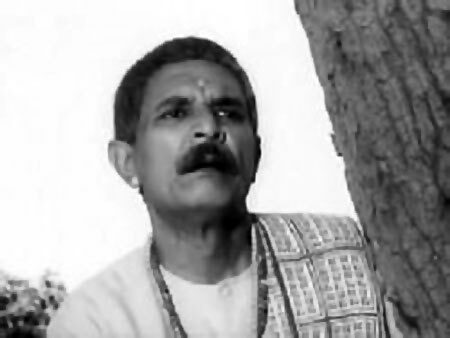 Before joining films, Manmohan Krishna was a trade unionist. He worked in nearly 250 films, notably Naya Daur (1957), Sadhana (1958), Waqt (1965) and Hamraaz (1967) and Bees Saal Baad (1962). The correct answer is a. Dhumal's lawyer father passed away when Dhumal was only 10, so the responsibility of his family fell on his small shoulders. After doing some odd jobs, he joined a drama company, where he served drinks and washed utensils. He also substituted for small artistes when they failed to turn up. 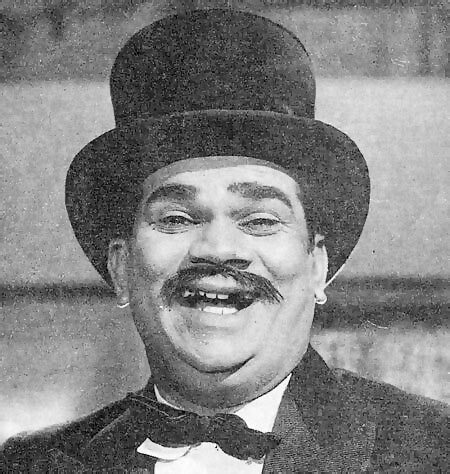 Eventually, he became famous as a comedian in Hindi films and a villain in Marathi films. He worked in films like Woh Kaun Thi, Ankhen, Gumnaam, Arzoo and Sasural. Correct! Dhumal's lawyer father passed away when Dhumal was only 10, so the responsibility of his family fell on his small shoulders. The correct answer is b. Kanahiyalal's full name was Kanhaiya Lal Chaturvedi. 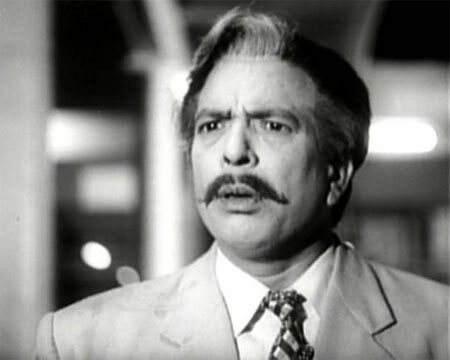 In 1940, he bagged the role of a moneylender in a Mehboob Khan's film, Aurat. Khan remade Aurat as Mother India and changed the cast in the new film. But he retained Kanhaiyalal. 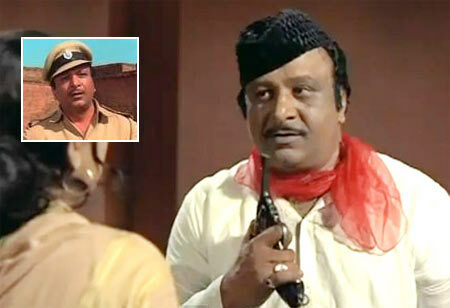 After that, Kanhaiyalal was stuck playing similar roles in Ganga-Jamuna, Gopi, Upkar, Apna Desh and Dushman. Correct! Kanahiyalal's full name was Kanhaiya Lal Chaturvedi. The correct answer is c. Asit Sen had a high-pitched voice, and he used it to great comedic effect. He has acted in films like Bees Saal Baad, Bhoot Bangla, Aradhana and Anand. Correct! Asit Sen had a high-pitched voice, and he used it to great comedic effect. He has acted in films like Bees Saal Baad, Bhoot Bangla, Aradhana and Anand. The correct answer is b. 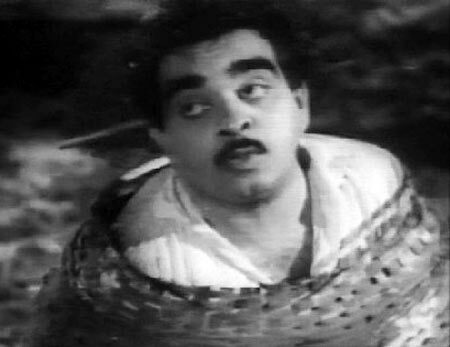 Actor Manmohan holds a Guinness record of having 14 releases in one month, at the peak of his career. It was Manmohan, who introduced Vinod Khanna to the film industry and convinced Sunil Dutt, who was the producer of Man Ki Meet, to cast Vinod Khanna in the film. Manmohan almost got killed while shooting for a Manoj Kumar film in a forest, in Titwala, a small town near Kalyan in Maharashtra. The actors were put up in a guesthouse with no electricity. One night when he was asleep, a petromaxe lamp exploded and he suffered 80 per cent burns. Since the guesthouse was located in a forest, there was no transportation. After six hours, they managed to take him to the Thana General Hospital. From there, he was transferred to Nanavati hospital in Mumbai. He remained in hospital for almost six months; his recovery took almost a year. Fortunately, his face was not scarred, and he could continue acting in films. 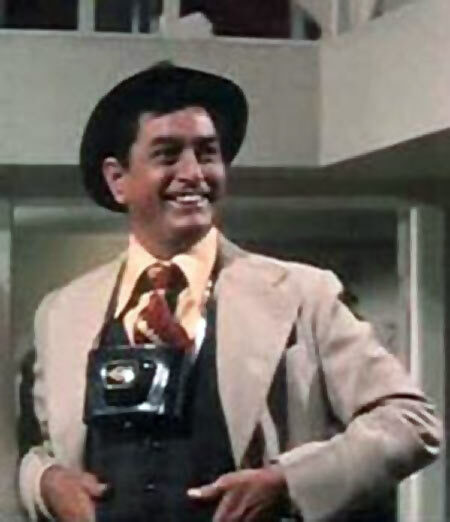 Correct!Actor Manmohan holds a Guinness record of having 14 releases in one month, at the peak of his career. Manmohan almost got killed while shooting for a Manoj Kumar film in a forest, in Titwala, a small town, near Kalyan in Maharashtra. The correct answer is b. Nazir Hussain worked in the British army for a short time but came under the influence of freedom fighter Subhas Chandra Bose, and joined the Indian National Army (INA) under his leadership. After Independence, Nazir Hussain was accorded the status of freedom fighter and given a free railway pass for life. Bimal Roy was planning a film on Subhas Chandra Bose and the INA called Pehla Aadmi. To give it an authentic touch, he was scouting for INA members to help him. Nazir Hussain's personality and impressive voice got him noticed, and he was cast in the film. Pehla Aadmi, released in 1950, got him instant stardom, and he became a permanent fixture in Bimal Roy's movies. Correct! Nazir Hussain worked in the British army for a short time but came under the influence of freedom fighter Subhas Chandra Bose, and joined the Indian National Army (INA) under his leadership. 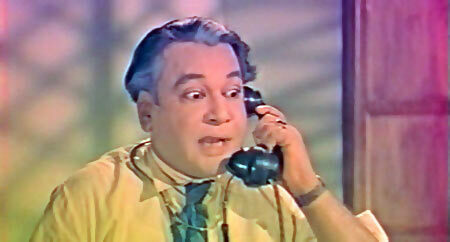 The correct answer is a. Tarun Bose made his film debut in 1957 in Asit Sen's film, Apradhi Kaun. 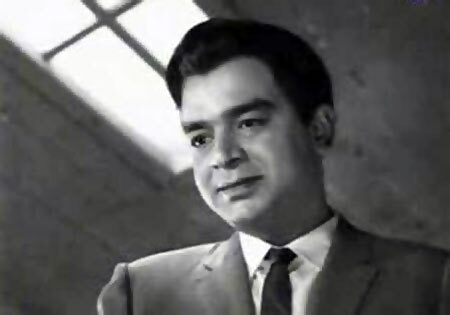 He was noted for his intense performances in movies such as Gumnaam, Bandini, Anupama, Devar, Mujhe Jeene Do and Aan Milo Sajna. Correct! 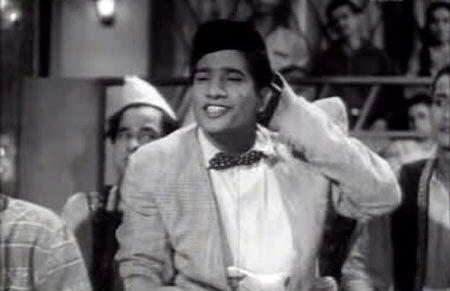 Tarun Bose made his film debut in 1957 in Asit Sen's film, Apradhi Kaun. The correct answer is b. 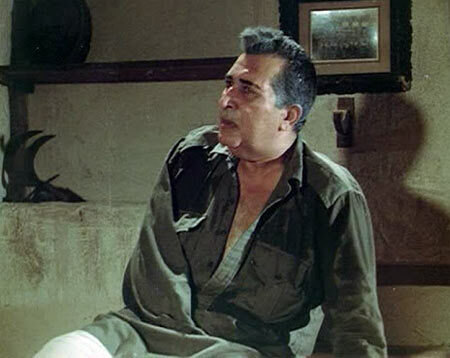 Born in Lahore, he came to India in 1944 to work with Prithviraj Kapoor in his theatre and production house. 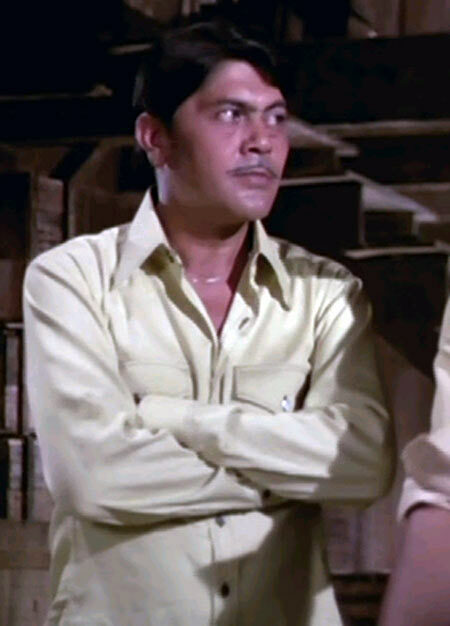 His brother Ravindra Kapoor was also an actor, and acted in films like Caravan, Majboor and The Burning Train. Correct! Born in Lahore, he came to India in 1944 to work with Prithviraj Kapoor in his theatre and production house. 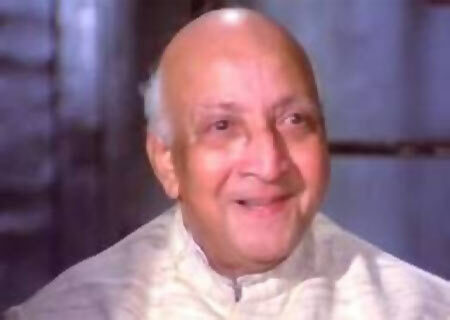 The correct answer is c. Sapru's full name was Daya Kishan Sapru. His wife Hemavati Sapru was also an actress. His eldest daughter Reema married Rikku Rakeshnath (who became Madhuri Dixit's secretary). She has written films like Sailaab and Sajjan to name a few. Sapru's children Tej and Priti are actors. 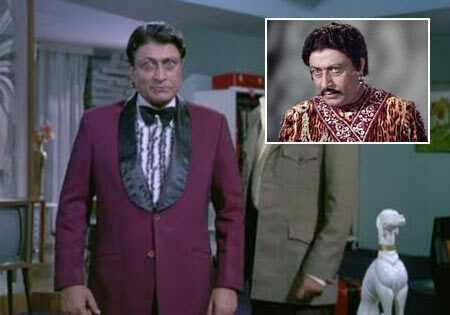 The famous villain Jeevan was his cousin. Correct! Sapru's full name was Daya Kishan Sapru. His wife Hemavati Sapru was also an actress. His eldest daughter Reema married Rikku Rakeshnath (who became Madhuri Dixit's secretary). She has written films like Sailaab and Sajjan to name a few. The correct answer is a. Jagdish Raj played police inspector in 144 films, and he holds a Guinness World Record for being the most type-cast actor. His daughter Anita Raj was also a well-known actress. Correct! Jagdish Raj played police inspector in 144 films, and he holds a Guinness World Record for being the most type-cast actor. 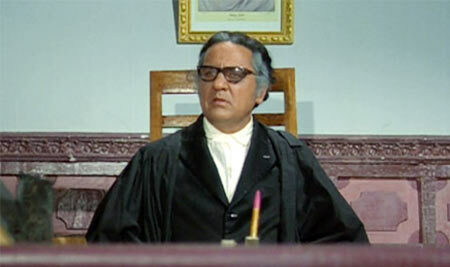 The correct answer is a. Mohan Choti started out as a child artist in Jagriti. Later, he got some interesting films like Brahmachari, Upkaar and Woh Kaun Thi. Later, he gave Anu Malik a break as a music composer in his production, Hunterwali. Correct! 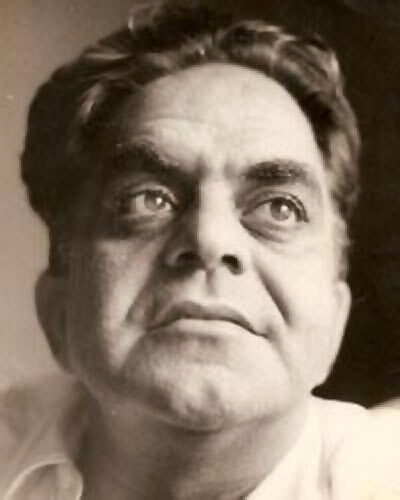 Mohan Choti started out as a child artist in Jagriti. Later, he got some interesting films like Brahmachari, Upkaar and Woh Kaun Thi. The correct answer is b. Popularly known as Pyarelal, Ram Sethi started his career by assisting Raveena Tandon's father Ravi Tandon. But for the next 20 years, he worked with director Prakash Mehra, in the capacity of actor, assistant director, screenplay and dialogue writer. Later, he directed a film called Ghungroo starring Shashi Kapoor, Smita Patil and Waheeda Rehman. Correct! Popularly known as Pyarelal, Ram Sethi started his career by assisting Raveena Tandon's father Ravi Tandon. But for the next 20 years, he worked with director Prakash Mehra, in the capacity of actor, assistant director, screenplay and dialogue writer. The correct answer is a. Jayant's real name was Zakaria Khan. He was a police officer with the erstwhile state of Alwar, Rajasthan, and gave up his job to pursue a career in films. Jayant is the father of Amjad Khan but he never got to see his son's success. He died on June 2, 1975 and Amjad Khan's life-changing debut Sholay was released on August 15, 1975. Correct! Jayant's real name was Zakaria Khan. In which film did Yash Chopra want to cast Kapoors? Quiz: How well do you know Rajesh Khanna? Quiz: Know these filmi dialogues? Quiz: Can you recognise these starlets? What's RSS chief doing with Helen, Salim Khan? Just how successful are college romances?